Compressed Air Systems duplex compressors are the ultimate in electrical efficiency. Designed for redundancy in all situations and built to deliver twice the power in the same amount of space as a typical compressors. 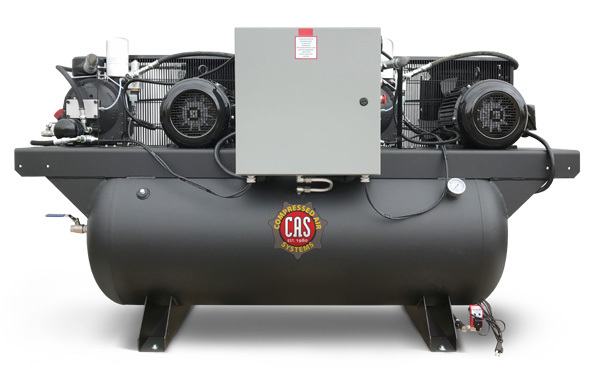 Our duplex compressors deliver additional air when needed, are easy to service, maintain and operate. All units feature heavy-duty cast iron low-RPM pumps manufactured for durability and long life and heavy-duty compoments.